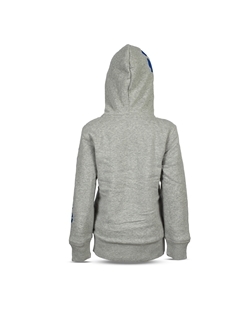 Grey-melange sweatshirt Sherpa-lined, kangaroo pockets, hooded, wide and flat contrasting drawstrings. 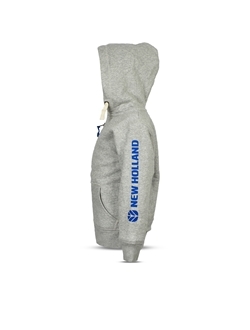 New Holland logo printing on the sleeve, leaf on the hood, distinctive label on the front bottom right side, customised zip hanger. 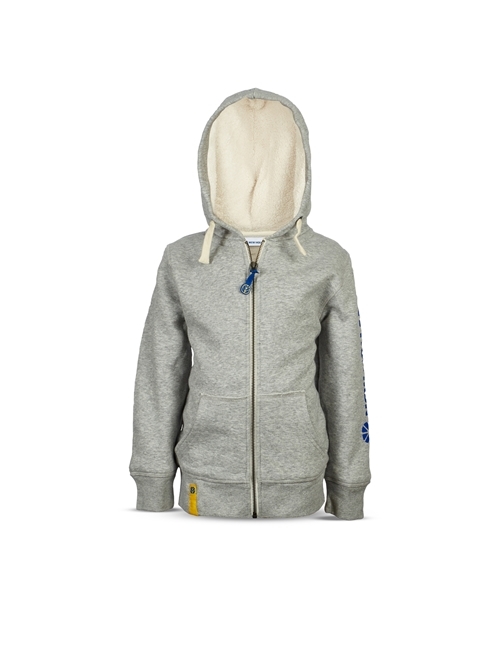 Material: 85% organic cotton, 15% polyester, lining - 100% Sherpa recycled polyester. 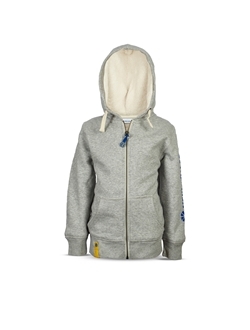 Weight: 300 gr/mq.